Robert Kelly "Rob" Thomas (born February 14, 1972 on a military base in Landstuhl, Germany) is an American recording artist, the lead singer of the band Matchbox Twenty and formerly of the band Tabitha's Secret. Thomas is also known for co-writing and singing on the Santana hit Smooth, on the album Supernatural, in 1999. On April 19, 2005, he released a solo album, ...Something to Be. This marked the first time that a male artist from a rock or pop group has debuted at No 1 with their first solo album since Billboard introduced the chart 50 years ago. On April 19, 2005, he released a solo album, ...Something to Be. This marked the first time that a male artist from a rock or pop group has debuted at No 1 with their first solo album since Billboard introduced the chart 50 years ago. His first single off that album, Lonely No More, reached No. 6 on the U.S. Billboard Hot 100 chart. 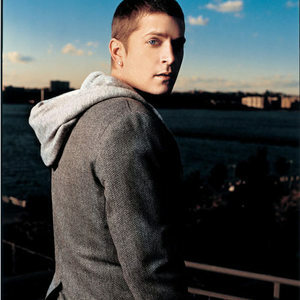 In January 2007, Rob Thomas released a single entitled Little Wonders, which he wrote for the Disney movie Meet the Robinsons.